I hope you enjoyed the few Instagram photos I posted from my trip to France. Stay tuned for many more photos and my new discoveries from France, including my tips for Paris, pictures from Burgundy and the towns we visited during our trip. One of the trendiest ways to cruise these days is cruising in slow pace on the rivers of Europe. Europe has over 1,300 rivers, and 14 of them are over 600 miles (1000 kilometers) long. You could probably spend a year or two just cruising the rivers of Europe. Not to mention that many European cities are by rivers, including Paris, Prague, Vienna, Lyon and London, offering so much for you to see. 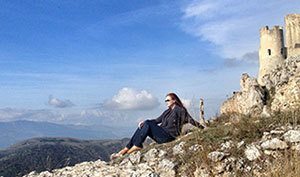 What really sets river cruising separate from sea cruising is the significantly smaller vessels, much more intimate settings, and the opportunity to truly see the scenery and experience European countryside and cities in a way impossible done by any other method. Instead of getting on a tour bus and driving to the next town and constantly checking in to a different hotel during your journey, the river boat is your floating hotel where your own private chef and waiting staff are waiting for you with a cocktail when you arrive back from a day of sightseeing. Many river cruise vessels carry over 100 passengers per boat, offering a more affordable way to river cruise and you can also find many day cruises around Europe to get your river cruise feet wet figuratively speaking. The real top-of-the-line of river cruising is with smaller river barges that carry less than 15 passengers. The real luxury isn’t just the private chef and floating hotel room on the river barge, the real luxury is the slow way of traveling forcing you to slow down and relax, and truly to enjoy the local lifestyle, scenery and cuisine. River barges offer a much more relaxing way of traveling than the larger river boats. 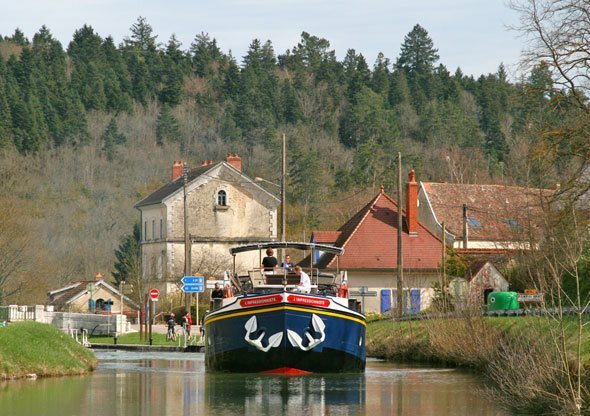 Our Global Inspirations writer Reeta and I had an opportunity to cruise in the Burgundy area in France last month with European Waterways, on their L’Impressionniste river barge on a three day press trip. L’Impressionniste is an old cargo barge turned into a luxury river barge for 12 passengers. 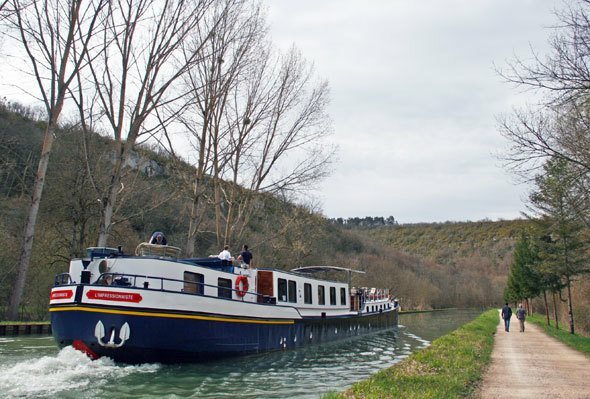 Typically L’Impressionniste has one week long cruises in Burgundy with different themes, such as golf, wine tasting and family cruises. 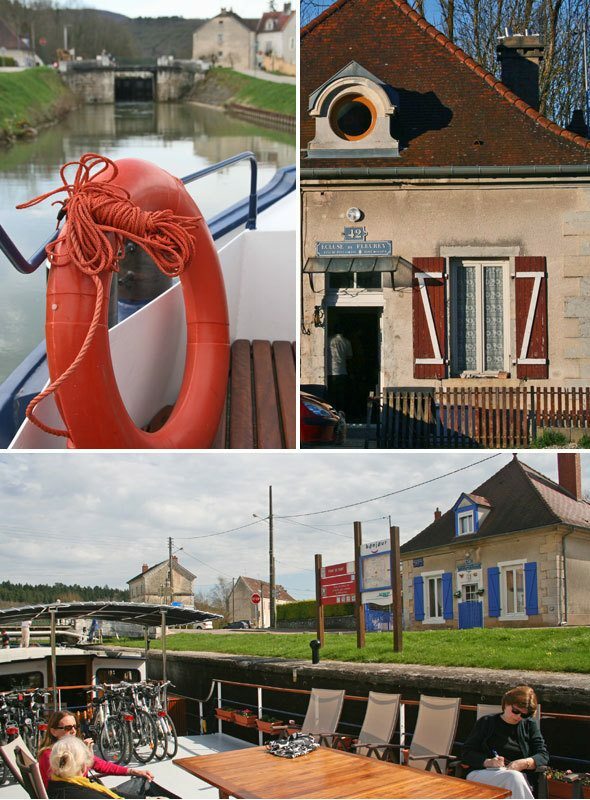 Our trip started with a stay at the Hotel Westminster in Paris, and after a Sunday morning in Paris, we were transported by European Waterways vans to Fleurey-sur-Ouche in Eastern France where the L’Impressionniste was waiting for us. The three days we were on board L’Impressionniste was not just an immersion to European river cruising but also to wines of Burgundy and falling in love with the beautiful French countryside. 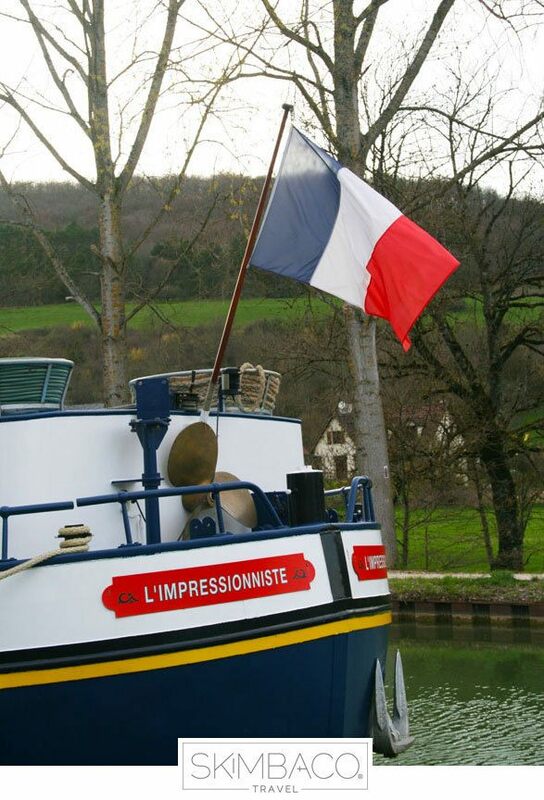 The L’Impressionniste travels at around 5 mph giving you plenty of time to take photos and enjoy the scenic view as the barge slowly moves from one lock to another on the Burgundy Canal. The lock houses are gorgeous and usually the lock keepers live in the lock houses. A lock keeper takes care of several locks in his/her area and was helping the barge crew to get through of all of the locks and once the lock was closed behind us, the lock keeper took his scooter and drove to the next lock to wait for our arrival to help opening the lock. The slow-paced cruising is a hit among retired people, and the demographic of the typical barge-cruiser tends to be good 20 years older than I am. 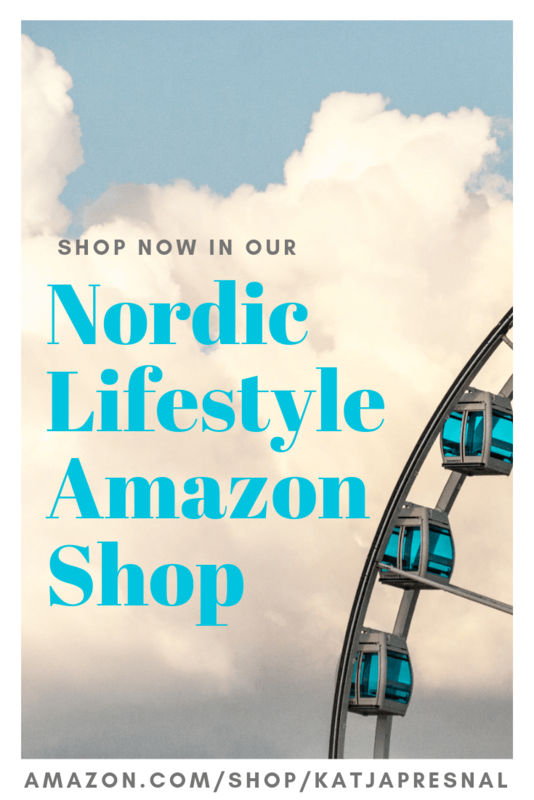 You might want to send this link as a recommendation for your mother or mother-in-law, but don’t just yet dismiss the river cruising for you either. 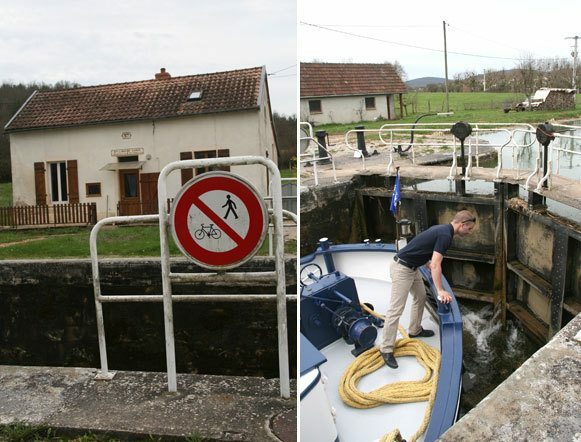 If sitting on the deck of a river barge with a cocktail or wine glass in your hand and enjoying the views of French countryside is too slow-paced for you, you can choose also walk or bike by the path by canal until jumping back in on the next river lock again. During our walks by the canal we saw many other passenger barges, and local people enjoying the canal path by biking, walking or rollerblading. 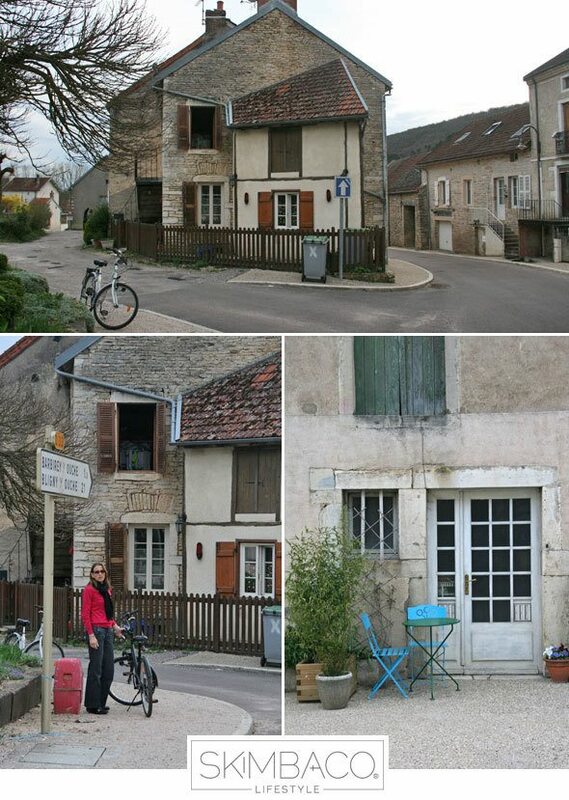 One of my absolute favorite things on the entire cruise was to borrow the bicycles from L’Impressionniste and bike to the closest little towns to take photos and take a quick peek how life in the French countryside looks like. I’d say picture perfect. Think of river barges as floating hotels, but instead of just paying for the nightly fee, your vacation is all inclusive. The daily trips, the food, the wine, everything included. No surprises whatsoever. The L’Impressionniste had been updated lately and has air-conditioning but no TVs in the state rooms. 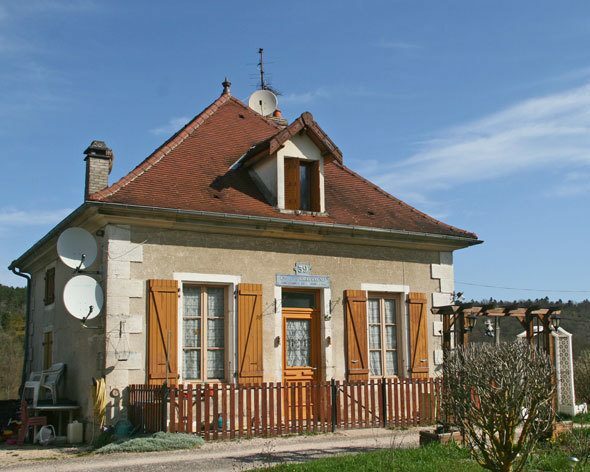 The cabins are moderately sized, especially compared to Paris hotels. The mood was “rustic French countryside on a boat” more than anything else. 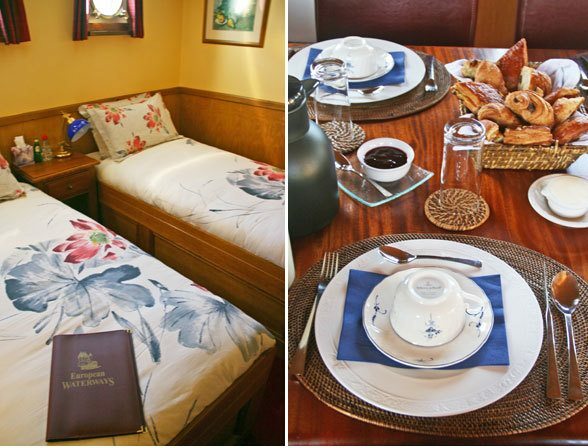 The stateroom isn’t an inviting oasis where you want to spend a day, but the barge had outside deck, inner dining room and sitting area giving you plenty of space for reading a book or having some quiet time. Breakfast was served in the dining room each morning and we enjoyed café au lait with panne au chocolat and croissants like you do when in France. The lunch and dinner was cooked by Chef Selbey each day, who surprisingly was British but mastered the local cuisine like Coq au vin or Quiche Lorraine. I was equally delighted by his perfectly cooked lamb with minted peas. Each meal was thoughtfully paired with Burgundy area wines, typically white for starter and red for main course. We enjoyed local wines from Hautes-Côtes de Nuits to Moulin-à-Vent and everything in between, and with each wine the hostess of the night would tell us more details of each wine we enjoyed. Each evening I realized I did need at least ten more years of wine drinking training before being able to keep up with the wine drinking pace on board L’Impressionniste. Wait, there is more. Our days we filled with more wine tasting and visits to local vineyards and towns. 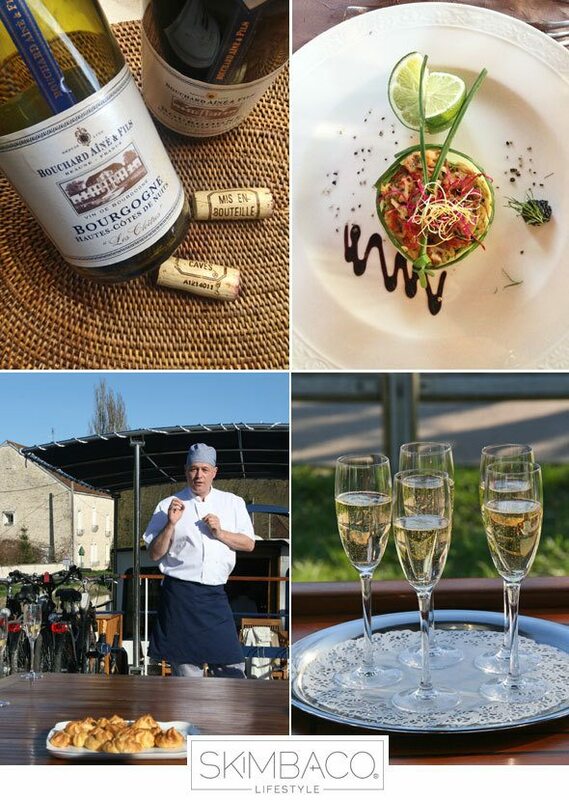 Stay tuned for more details of our French culinary tour, the wine and the day trips we took during our river cruise. To make sure never miss a travel post, please subscribe to the Skimbaco Travel Feed. Prices for a 6 night cruise aboard the 12 passenger hotel barge L’Impressionniste are from $4,750 per person in a twin/double en suite cabin, including all meals, wines, an open bar, excursions and local transfers. Full boat charters are also available. 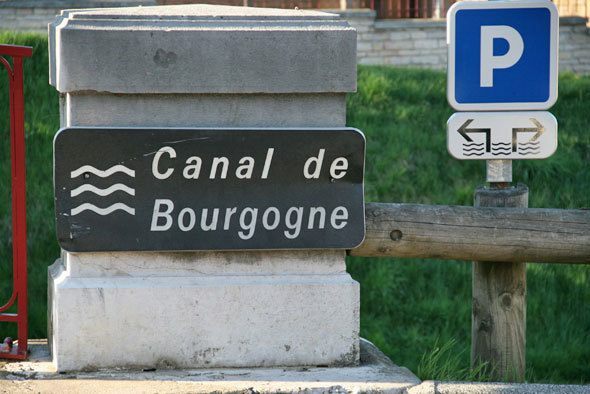 Contact European Waterways: Toll Free 1-877-879-8808 and check out www.gobarging.com for more details. Disclosure: I was a media guest of the European Waterways, and received a free one night stay at Hotel Westminster, flights and the river cruise on L’Impressionniste. All other costs associated with this visit are my own, and my opinions are always my own. I’ve wanted to try a river cruise, especially in Europe. This cruise is just the type for me. No need for activities when you can see the sights, relax and have conversations with new people. It’s so beautiful out there. Gorgeous scenery, food, wine and a cruise, it’s more then a perfect. This sounds like such a fun trip can we switch you can live in Philly and I will live in europe. Marking as a Dream trip!